McCullough broke ground on the Pacifica project in October of 2018. 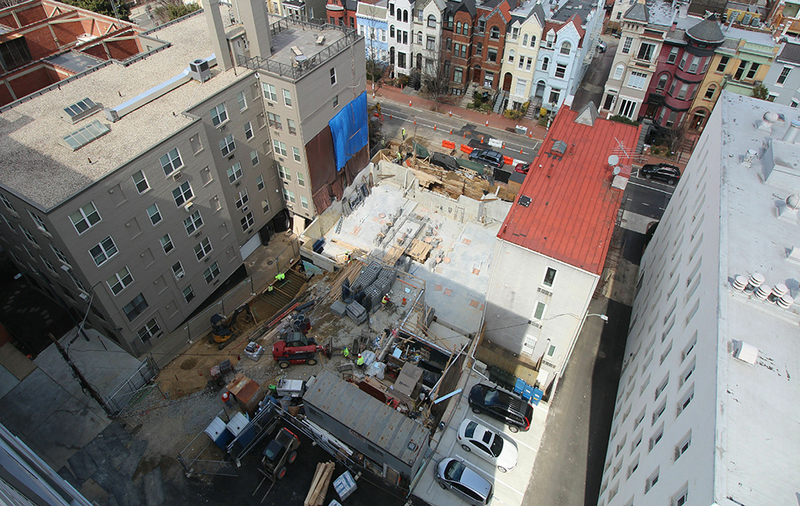 The modern style 9-unit luxury condominium building is just blocks away from Dupont Circle and will include a rooftop with both private penthouse access & common area amenity space, as well as a portion of green roof. The building is composed of mainly brick, cast stone and hardie panels with a bioretention structure behind the building and off-street parking in the rear. The project is designed to achieve LEED certification. The biggest challenges on this project are limited space and timing, in terms of excavating and doing foundation work throughout the winter. This project is designed to achieve LEED certification. Approximate value is $6.5 M and anticipated completion is set for winter of 2019.